I was never the kid who picked her Brussels sprouts off the plate and threw them across the room. Nope, I’ve always liked them (bite-sized cabbages are cool! ), and since in my house they’re not just a once-a-year neglected side dish, I’m always on the hunt for fun ways to fix them. Roasting is one of my favorite techniques to prepare sprouts…mostly because you can just toss them in the oven and basically leave them be while you focus on other things, but also because you get a combo of tender spouts and crunchy stray leaves. A new book that I’ve really been enjoying called All About Roasting: A New Approach to a Classic Art by Molly Stevens shows a new twist on roasted sprouts by tossing them in a dressing of brown butter, lemon juice and capers. I’ve apparently been on a brown butter kick lately, but it really does add a nutty flavor that makes things extra-special. 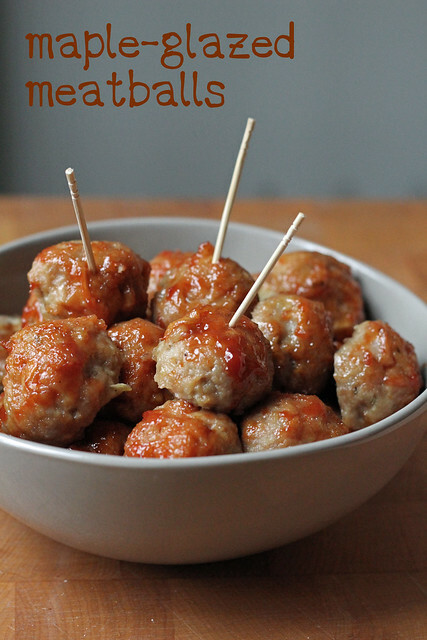 The lemon juice and capers add a bright acidic pop to the little-bitty cabbages. I gave this recipe a trial run a couple of weeks ago, and liked it so much that I’m making it again for Thanksgiving dinner on Thursday. Happy Thanksgiving! And no pie until you finish your sprouts! – Position a rack in the center of the oven and heat to 425 degrees (400 degrees convection). If desired, line a heavy-duty rimmed baking sheet with parchment paper. – Depending on their size, cut the Brussels sprouts in halves or quarters; you want them to be small enough to be bite-sized. Place in a large bowl and toss with the olive oil and salt and pepper to taste. Arrange the sprouts in a single layer on the baking sheet. Don’t worry if some of the leaves fall off. Include these when roasting; they will crisp up, adding a nice crunch to the dish. – Slide the Brussels sprouts into the oven and roast, turning once or twice with a metal spatula to promote even cooking, until the sprouts are tender throughout and smaller bits or leaves that have fallen off are browned and crunchy, 20 to 25 minutes. Test for doneness by piercing a sprout with the tip of a paring knife, but to be sure, nab one off the baking sheet, let it cool slightly, and taste; it should be tender and sweet. – As the sprouts roast, melt the butter in a small skillet or heavy saucepan (it should be no more than 6 inches across or the butter will burn). Cook over medium heat until the butter is melted. Add the mustard seeds, increase the heat to medium-high, and cook, watching the pan carefully and swirling frequently, until the butter begins to foam and turns golden brown, about 2 minutes. Add the capers and lemon juice — the butter will sizzle — and immediately remove from the heat. Season with salt and pepper to taste and keep warm until the Brussels sprouts are ready. 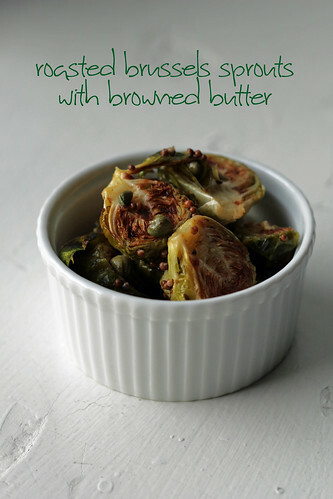 – Transfer the Brussels sprouts to a serving dish and add the browned butter. Toss to coat. Taste for salt, pepper, and lemon and serve immediately. Please note that the publisher, W.W. Norton, sent me a copy of this book.